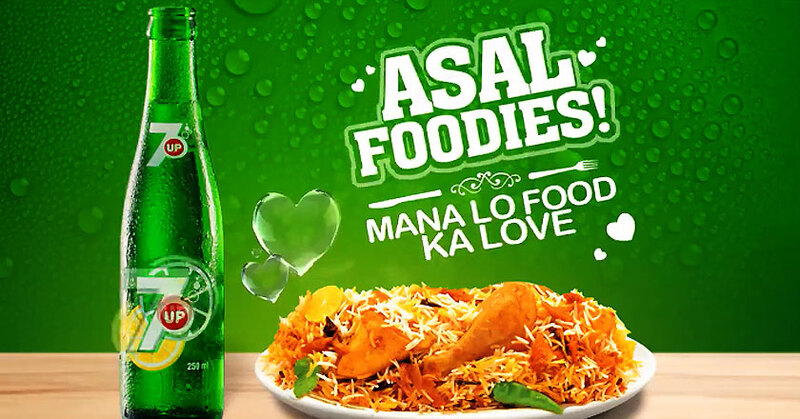 7Up’S Newest Mana Lo Food Ka Love With 7Up TVC is out now, with the same food-celebratory tone coupled with the catchy track. Conceptualized by the Advertising Agency BBDBO, 7UP, as a brand has been following up on the foodie lovers theme for quite a while now. On digital and social media platforms, 7Up has been promoting itself with brand endorsements of ZaidAliT, a hugely popular youth icon who is famed for creating viral and relatable Facebook videos. Food brings people together like nothing else, eating together is the ultimate way of forgoing other conflicts. This is why the food lovers’ theme is being camped for by 7Up who are popularizing the brand with the “Asal Foodies” concept. Let’s see how far it goes.